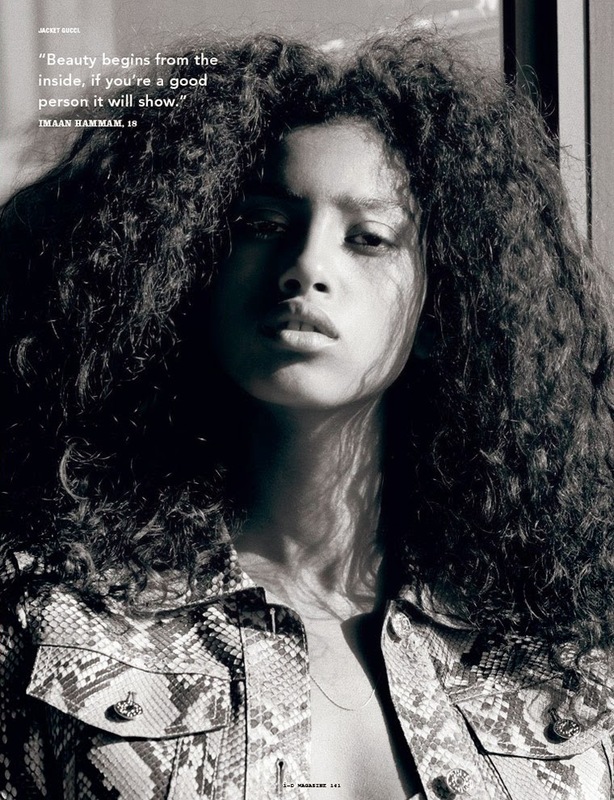 With the Victoria's Secret Fashion Show media frenzy kicking into overdrive on the eve of the spectacle today, IMA will be barracking for runway rookie Imaan Hammam who will be debuting in the show's Pink section. 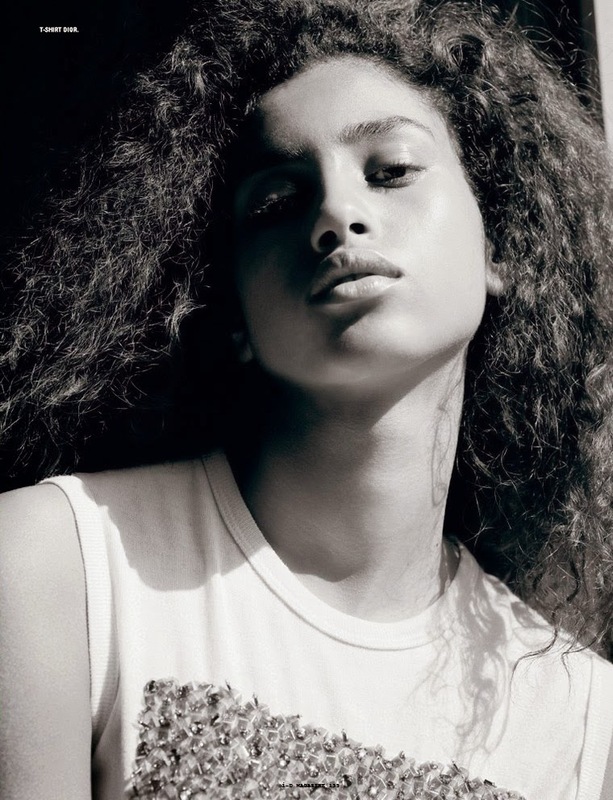 The eighteen year old Egyptian/Morrocan beauty caps off a momentous year with a coveted spot in the widely anticipated fashion event which will be held in London. The DNA Model Management repped newcomer has racked up a stellar list of achievements including an American Vogue cover appearance lensed by Mario Testino and editorial bookings for French Numéro, The Gentlewoman, Love, Document, and Paris Vogue. Hammam's unruly mass of cascading black curls, her flawless caramel complexion, and melting puppy dog brown eyes have made her one of the most sought after newcomers of 2014. 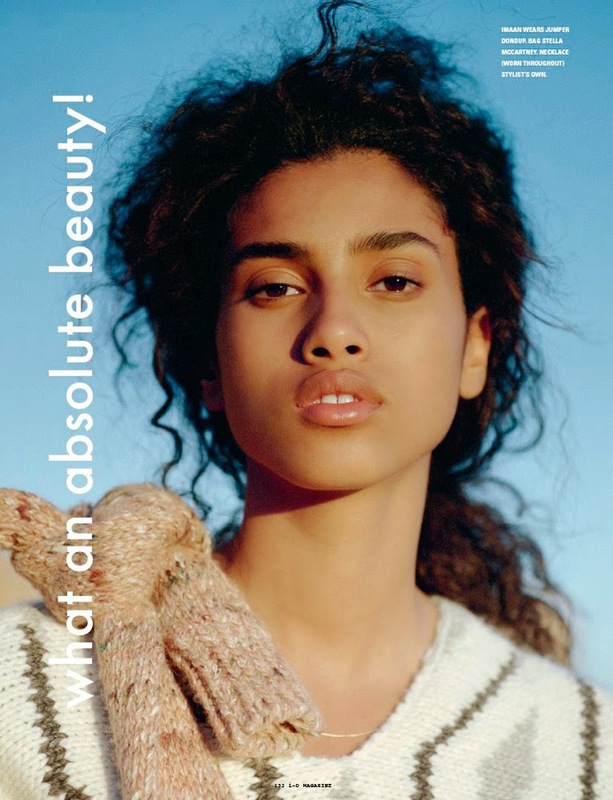 This month photographer Zoe Ghertner captures Imaan for i-D Magazine in the aptly titled editorial "What an absolute beauty!". Hammam casts a magical spell with her hypnotic beauty while posing outdoors with a radiant blue-sky backdrop and on a porch dappled in sunlight and contrasting shadows. Hammam's inclusion in the Victoria's Secret Fashion Show will no doubt propel her into the spotlight and take her to the next stage in her stunning career trajectory.